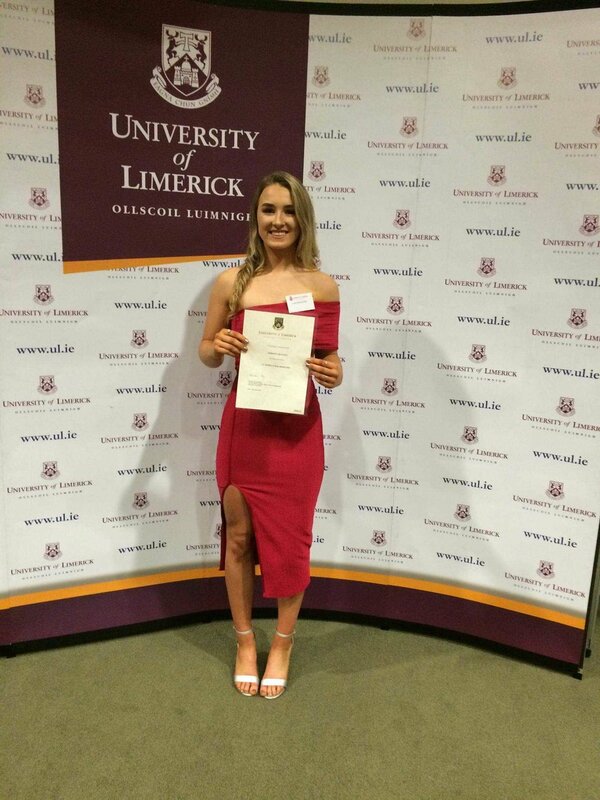 Congratulations to Aoibhinn Keating (Leaving Cert 2018) on receiving a Sports Scholarship at the University of Limerick recently. The scholarship was presented by Professor Kirstin May. Aoibhinn is currently studying Sport and Exercise Sciences in UL.